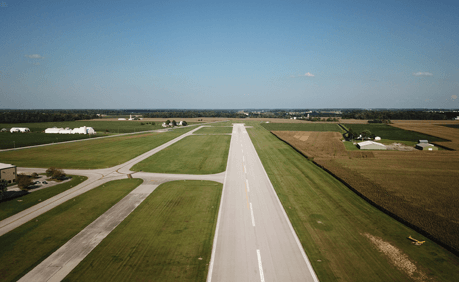 The Auglaize and Shelby County Commissioners have established zoning regulations for the areas surrounding the Auglaize County Neil Armstrong Airport. These regulations have been established to protect the airspace that surrounds the airport. The Auglaize/Shelby County Zoning Commissions has made its preliminary report, given notice by publication, held public hearings and has established the boundaries of the various zones for the airport and its airspace. Airspace hazards endanger the lives and property of the users of the Neil Armstrong Airport of the occupants of aircraft, thus tending to destroy or impair the utility of the Auglaize County Neil Armstrong Airport and the public investment therein. That the creation or establishment of an airspace hazard is a public nuisance; it is necessary, in the interest of public health, public safety and general welfare, that the creation or establishment of an airspace hazard be prevented and that the prevention of these hazards should be accomplished, to the extent legally possibly, by the exercise of the police power without compensation. The Auglaize/Shelby County Zoning Commission consist of the County Commissioners from their respective counties. The Commissioners also appoint citizen members to the Auglaize/Shelby County Airport Zoning Board of Appeals.